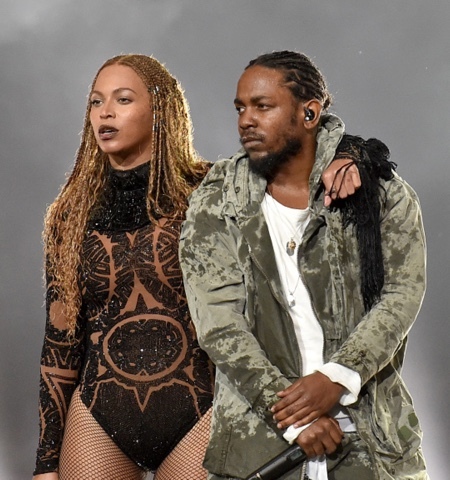 Last night the 2016 BET Awards took place at the Staples Center in Los Angeles & the night kicked off with a big surprise. Beyoncé opened up the show with the song "Freedom" from the Lemonade album. She set the tone to deliver a very powerful & moving message in front of the world. Bey's back-up dancers sashayed down the aisles as Dr. Martin Luther King's 'I Have A Dream' speech played while she danced in ankle high water. Rapper Kendrick Lamar appeared on the stage as he delivered a new verse for the song, "revolution televised, hoping that you see the sign / meet me at the finish line, 40 acres give me mine."